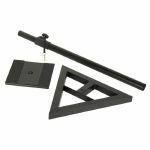 ADAM HALL Adam Hall SKDB039 Speaker Stand (single) vinyl at Juno Records. Triangular foot, 35 mm square section tube, Tube 40/35 mm, T-screw for locking. For heavy speakers you can lock the height on 102 - 114 - 126 - 138 - 150 with the included safety pin. Utility space for speakers: 230 x 230 mm, steel material thickness 2 mm, slip resistant surface. Plastic cable clip on upper tube for adequate and discreet cable guiding. The foot can be equipped with 3 adjustable plastic feet or steel-spikes. 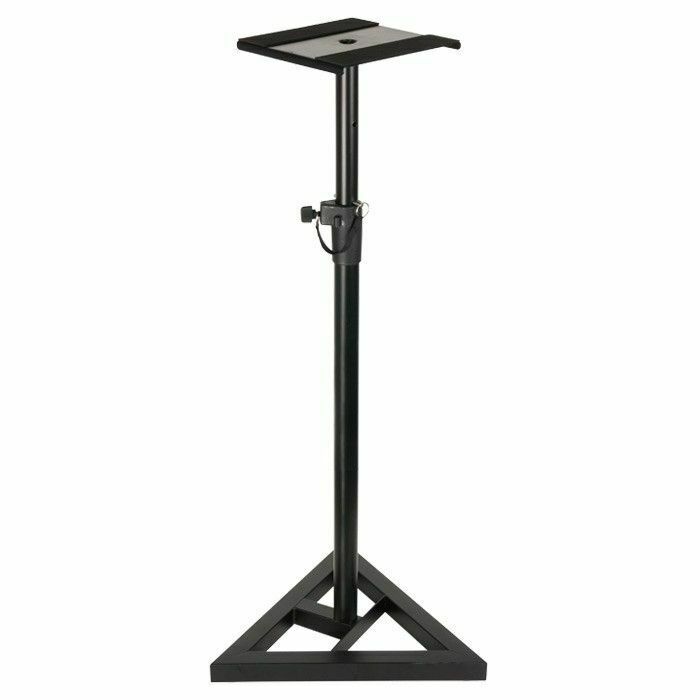 Without the plate you can use the speaker stand with a standard speaker stand receptacle (35mm).